Design Centrum - Martex S.p.A.
Communication areas in the office contribute to wellness and productivity. Martex has furnished the common areas of a known chemical company (in its Budapest branch) by following this principle. Common areas are like parks and gardens in a big city: a small oasis where people enjoy meeting and drinking a coffee, talking freely or reading something interesting, because not everything happens on your desk and personal enrichment involves listening, dialogue and confrontation. 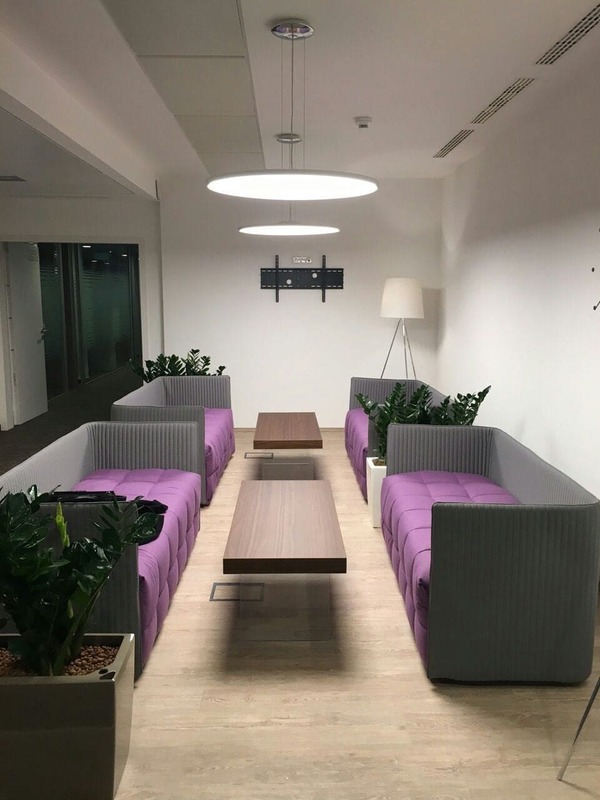 For these areas, Martex has supplied armchairs and sofas from the Inattesa collection, here proposed in green and purple tones. On the waiting tables, the contrast between the texture of the walnut and the transparency of the glass basements adds elegance and a sense of lightness.